The U207 Intruder is a micro quadcopter. 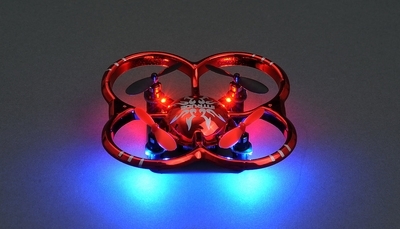 This micro quad�features leading edge technology including a�highly precise�6-axis gyro stabilization system making�it ultra stable. Normally, building and setting up of�multi-rotor aircraft�requires lots of time, tuning and having to choose your own power system/components. The�U207�takes away all of the complicated setup and makes it as easy as opening the box, charging the batteries,�and flying! The�U207 Micro�is�very capable with plenty of power to spare. Its stable flight characteristics make it stress-free for the less experienced quad pilot.